As the owner of Mystery Cup Café in Wilton, Missouri, a town made famous by a string of long-ago murders, Blake Harper is used to the mysterious. 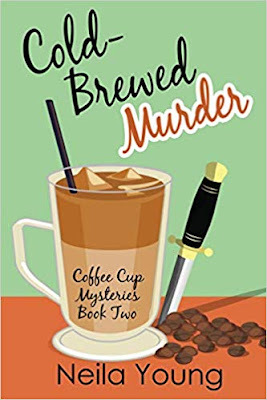 When her barista is found strangled in a mound of coffee beans, Blake vows to find the killer, even though her sister, the town's lead police detective, tells her to stay out of it. Blake Harper owns Mystery Cup in Wilton, Missouri and is seriously deciding to replace one of her baristas, a girl named Nikki. She hired Nikki as a favor to a friend of her mother's, but Nikki doesn't even show up on time or do her job well. When Nikki does realize she might be fired, she begs Blake for another chance and promises she'll improve. She even offers to do inventory that night so Blake can relax at home. Blake gives her the chance, but it doesn't turn out the way she hoped. Seeing a light in her shop long after Nikki should be gone, she enters and finds the girl dead in a pile of coffee beans. 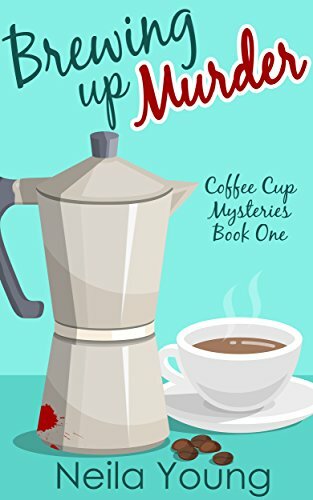 Shaken, she calls her sister Kyle - a police detective - and so begins the hunt for a killer; and the reason why Mystery Cup was vandalized and Nikki killed. I felt that the mystery itself was done well. There were plenty of suspects and enough red herrings to keep mystery lovers interested. The clues seemed to point in several different directions, and that was nice in that it keeps one guessing as to who the true murderer might be. However, I do feel that the town and its inhabitants could have been fleshed out more. I felt that if less attention had been paid to conversations about 'hot guys' and trying to find Blake a love interest, then we would have learned more about the town and its inhabitants. We weren't really given any reason why it would be a big tourist attraction; surely murders that occurred nearly fifty years ago wouldn't bring them by the carloads into town unless they were ghost hunters. There were also a few ridiculous things, like her brother, who is a doctor, making out with his wife in a coffee shop. Nope, not gonna happen. What man in his thirties does that with his wife? And a doctor no less? He's not a teenager, but I felt that every female in the book acted like one - and also the brother, if he does things like this. Hopefully they'll grow up in the next book. Aside from this, the book was very good and the mystery enjoyable, and I liked the main characters. When the murderer was discovered it came as a surprise, and makes us realize that desperation can drive people to do things which we never thought possible. Recommended, and I look forward to the next in the series. Kathleen Paulson is head librarian at a small town in Minnesota. She has two cats - Owen and Hercules - with a little magic in them. Not only can Hercules walk through walls and Owen make himself invisible at will, they understand what their human (and others) is saying, and help her solve crimes. The grandfather of one of her employees, Mia, has arrived in Mayville Heights for Thanksgiving. While Mia is excited to see her grandpa, she's not as happy to find out her Grandpa Leo has asked his twin brother Victor to come as well. The reason she's not happy is apparent to anyone who knew them back when...as in back when Victor ran off with Leo's wife, depriving Leo's son Simon of a mother and eventually Mia of a grandmother she would never know. But the tale gets sadder when shortly after leaving Leo's wife Meredith died in a car accident. I love mysteries, and I love mysteries that have animals, especially cats. This one was no different. 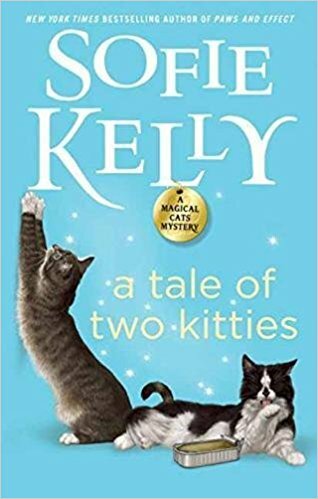 Kathleen's two magical kitties are indeed endearing; Hercules is quieter and Owen is feisty, but both do their part to help her any way they can. While no one else is aware of their abilities, she depends on them for advice, and they never let her down. The book had a very nice plot, and I enjoyed watching as Kathleen sifted through suspects one by one. But unfortunately, I kept getting sidetracked by subplots that had absolutely nothing to do with the murder,. (Marcus and Eddie going to Minneapolis, for one). It's a quirk of mine, but I really don't care for subplots unless they actually connect to the main plot somehow - for example, if when Marcus returned he mentioned something the person they were going to see had said something - but no, nothing except to give Kathleen more time to investigate without police presence. Aside from that, there were enough red herrings thrown in and enough suspects thrown around to confuse matters, and that's what a mystery is all about. In the end, when we learn the identity of the killer and the reasons why, we knew there was no other way it could have ended; and that's what a mystery is all about. Recommended. Sasha Silverman and her family own a teddy bear shop in Silver Hollow, Michigan. She and her sister Maddie run the shop, along with her Uncle Ross who heads production; and they also have several employees. One of these employees is their sales rep Will Taylor, who's a thorn in everyone's side and has just returned from a business trip. It seems on this particular trip he met their father, and now tells everyone that they're possibly moving production to China which will lower costs - and means that employees will lose their positions. Sasha is determined that this will never happen, but before she can speak with her father, Will is murdered - found dead in their shop with his mouth full of stuffing. I really wanted to like this book more than I did. It had a cute premise (a teddy bear shop) and a mystery to boot. But it just had Too Much Detail. Too much detail on homes and businesses, and too many characters. The amount became staggering, and unfortunately, because of that none of the characters had any depth. I didn't really care for Sasha or her family. Her mother even came off as rather unlikable, so it wouldn't pain me not to see her in future books. While I understand this is a first book, and we know they need to be tweaked, I felt without this much detail the book would have been more interesting, and we would have really been able to 'sink our teeth' into the murder. But without character development, it's hard to know or care about them. When the murderer was discovered, while it was no big surprise the ending was satisfactory. 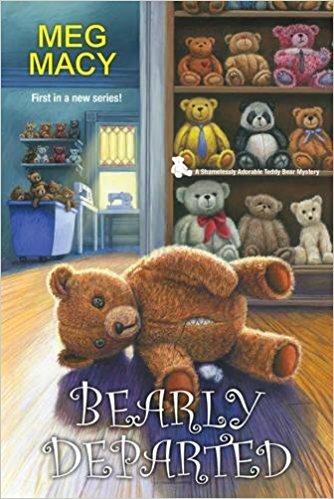 Also, the writing is good, and the idea of a teddy bear shop has promise, so I hope to see that the author continues with this series. Party planner Liv McKay has outdone herself this time. She's put together an unforgettable Fourth of July celebration for the town of Dixie, Tennessee - including breathtaking fireworks and an exciting Miss Dixie Beauty Pageant. Maybe a little too exciting. Liv McKay is a party planner in the small town of Dixie, Tennessee. She's very pleased with the way her Fourth of July celebration has been going - everyone seems to be having a good time, and enjoying the day. Well, almost everyone - town councilman Bubba Rowland has just been found dead in a porta-potty, shot through the rear of the receptacle, and with so many people attending the event, it seems Sheriff Dave Davidson has his work cut out for him trying to find a killer. What a delightful mystery to unravel. It appears that it's already solved, with no access to the murder weapon by anyone except Earl, and he's so forthcoming about that information that he's practically putting himself in the electric chair. But Liv believes he's innocent, and isn't about to have her mother's heart broken, so once again she enlists the help of her best friend Di to find out who got his gun and framed him for the crime. It could have been a number of people who were attending the celebration, but sorting through the suspects isn't going to be easy, since there were so many there. And to top things off, her mama's now decided she wants Liv to plan her over-the-top wedding, complete with swans and a gondola. It also doesn't help that her sister Emma is dead-set against the wedding, and her father-in-law is acting strange to everyone. So will Liv be able to set Earl free or will Emma get her way and the wedding will be called off due to imprisonment? What a delightful read this turned out to be. While I have enjoyed the series from the beginning, I believe this one is my favorite. 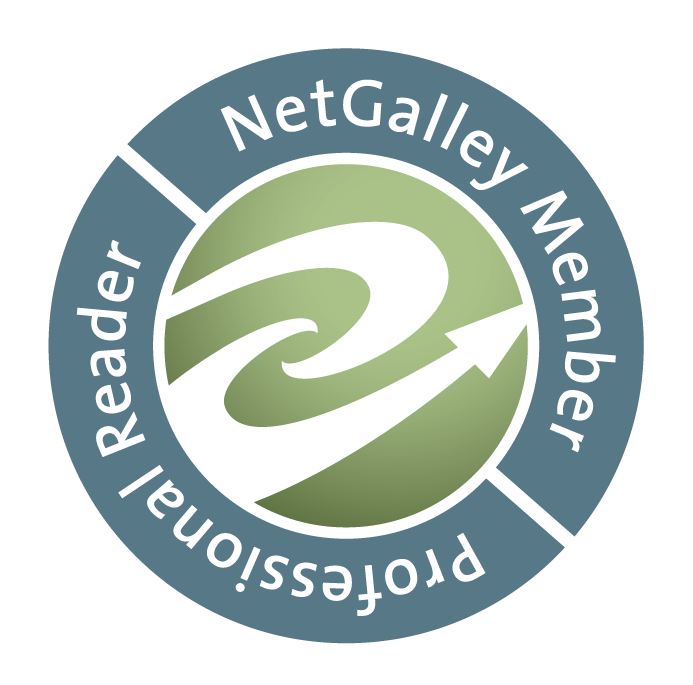 The characters are rich and lively, their growth apparent as the series progresses. The interaction between them is realistic, and with just enough brass on Liv's part to be convincing without being exaggerated. When we find out who the murderer is (because we know it just can't be Earl), it's believable and deftly done; the ending is satisfying and even a hint of the next book is given. 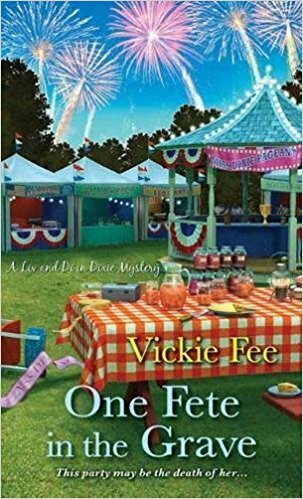 Ms. Fee is a talented writer and in this book she serves up a real slice of southern charm, wit, and humor. I look forward to the next in the series. Highly recommended.